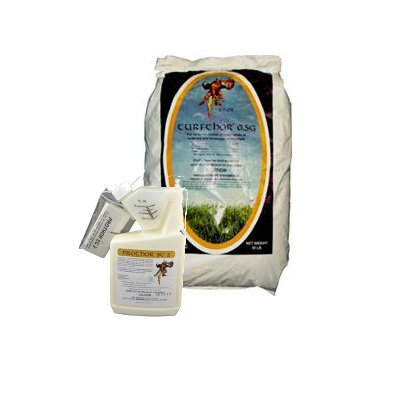 This Thor brand non-repellent insect control bundle includes a 30LB bag of Turfthor .5G and a 27.5oz bottle of Prothor SC2. Turfthor 0.5 G, broadcast on the ground, controls a wide range of insects on trees (including non-bearing fruit), shrubs, evergreens, flowers, foliage plants, ground covers and interior plantscapes. Turfthor 0.5 G is a systemic insecticide meaning it will be translocated by the plants vascular system from the roots up into the body of the plant. Prothor SC2 is a liquid imidacloprid providing non-repellant Termite and Ant Control. Prothor SC-2 is a 2 pound imidacloprid per gallon suspension concentrate. This highly concentrated form moakes it easier to handle and comes in multiple sizes. Control termites AND control ants for AT LEAST 30 days with this powerful insecticide. Best yet this product does not require a termiticide application license AND you can apply it as many times as you want to in a year.